Are we there yet? ~~~ I’m going to pull this car over! This fun family ROAD TRIP adventure has shades of a guilt trip theme as well. It is geared to vacationers from 10 to 110 years of experience. Some of our own memories may seem to be of torturous circumstances, while others give us pleasant reasons to recall events from our past. Spending time in cars has been an integral part of lifestyles for the biggest part of our lives. It is no wonder that vivid memories surrounding events associated with driving vacations, often generate very strong emotions. 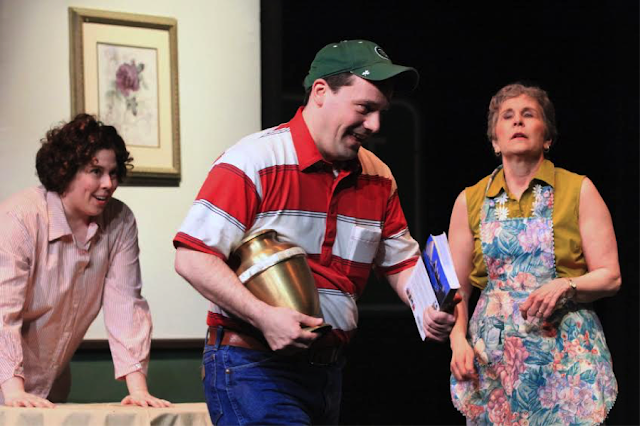 Don Browning (Robert Hankins) returns to Iowa to visit his Mom (Bonnie Ronan) and his Sis (Cristin Fenzel). During this visit it is decided that Don will set off on a journey to return the ashes of his Dad (Justin Tinsley), to Dad’s childhood home. As he is traveling, Don envisions flashbacks of unpredictable family road trip experiences. A complication arises when Don discovers that a Grocery Store sits on the location of his Grandma’s home. Naturally, Don decides to drive around to many of their family vacation destinations, seeking an appropriate site for Dad’s remains. There are lots of laughs along the way. Many of the more memorable occurrences are portrayed. 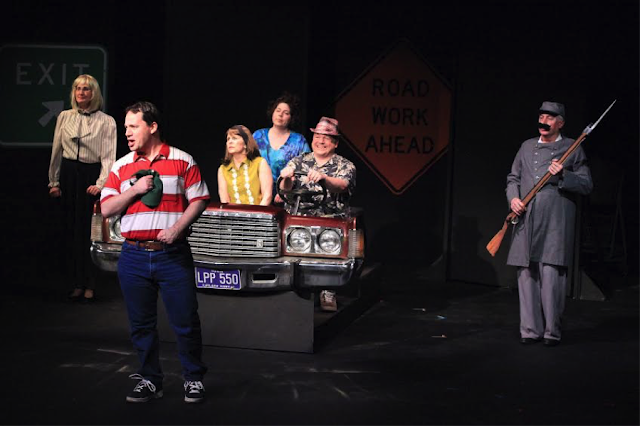 The marvelous cast brings the audience along for the ride in both past and present times. James Wilson and Rebecca O'Neil wonderfully portray many unique characters, which are encountered along the way, both past and present. Imagine someone selling a wind chime made of petrified Apache toenails. As Don travels those somewhat familiar roads of vacation trips past, he begins to realize that a bonding of family relationships had resulted from those experiences together in the family car. Fortunately for Don, a brochure gives him a clue for a perfect resting place, allowing Don and his relationship with his Dad, to finally become centered. The set design, sound, lighting, and costumes deserve special recognition. Everything came together in a most enjoyable way. Be sure to experience this delightful comedy at the Wade James Theatre. As you enjoy the Edmonds Driftwood Players performance, search your own past adventures for moments you may choose to cherish. 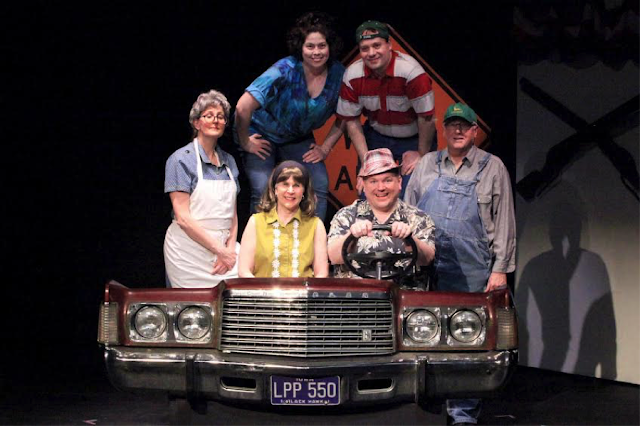 The Edmonds Driftwood Players has been entertaining and educating this community since 1958. It is one of the oldest continually operating community theatres in Washington State. Take advantage of this great community resource. Performances at Wade James Theatre, 950 Main Street, Edmonds 98020. Purchase tickets online.